Please welcome on our Page! In 1990 Motherlove Herbal Company introduced the first herbal personal care and supplement line specifically designed for pregnant and breastfeeding women. Since its conception, Motherlove has led the trend in holistic body care. Dedicated to consistent quality we craft only the finest, pure products using certified organic herbs and luxurious oils. Our time proven formulas, backed with integrity and wisdom, are designed to nurture, soothe and heal women on their all important journey of nurturing life. Motherlove follows the Good Manufacturing Practices (GMP) set forth by AHPA and the FDA. Our herbs are classified as Generally Recognized As Safe (GRAS) and found in “Herbs of Commerce”. We retain samples from every batch and have a computerized tracking system to follow any bottle sold in every batch. Our herbal supplements are tested for bacteria, lead and heavy metals. Along with adhering to GMP’s, we support the environment. We use recycled paper, our shipping boxes are made with recycled cardboard, and we shred much of our own packing material. Our products are also packaged in recyclable containers. We use abundant, sustainably grown herbs that are not “”at risk”” and compost all used plant material. Quality is very important to us. Each product starts with the finest certified organic herbs available. Our luxurious oils and liquid herbal extracts are sold in beautiful cobalt blue bottles. All products are 100% guaranteed. Our return rate is exceptionally low and we receive countless calls testifying to their effectiveness. Education is a top priority at Motherlove. We have an informed staff to answer your questions. Our informative website is often cited for its Frequently Asked Questions (FAQs) and resources. We are continually updating it with new information. 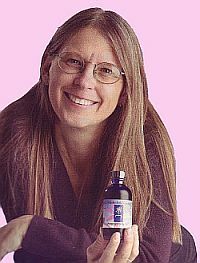 Nationally recognized herbalist, Kathryn Higgins, is the founder and visionary behind Motherlove Herbal Company. Born and raised in Rochester, Minnesota, Higgins grew up in a family steeped in medical tradition. Her grandfather was a researcher, her father a doctor at the Mayo Clinic, and her brother a graduate of the Mayo Medical School. The family’s country home was surrounded with beautiful gardens, which Higgins helped tend and harvest. These influences were the foundation for her passion for herbal healing. A class in wild edible plant identification at Colorado State University inspired Higgins to begin using nutritious wild plants, such as dandelion and nettle, in meals. By the early ’70s, Higgins’ interest in plants expanded into growing and creating herb concoctions for baths and skin care. Her “”bohemian”” lifestyle—she lived in a tipi surrounded by fields of wildflowers and herbs—became her inspiration. Higgins began to experiment with natural dyes, which led to her first business venture, a fiber accessory company called Canyon Colors. Pregnant with her first child, Higgins gathered the herbs from her Rocky Mountain home to make teas, oils, baths and liquid herbal extracts to support her own child birth experience. These creations became the “”seeds”” for Motherlove products. Higgins also began to teach several classes on herbs, including the ethics of wildcrafting. She led wild edible and medicinal plant identification walks, and taught herbal medicine making and body care classes. By the time Higgins was pregnant with her third child in 1990, Motherlove Herbal Company was born. In 1996, Higgins published a Pocket Guide to Wild Edible and Medicinal Plants, written to help people identify useful plants in the Rocky Mountain region. She continued to teach classes for various institutions including Colorado State University and the Denver Botanical Gardens. Higgins has also been a guest speaker for organizations such as the La Leche League, the National Natural Pharmacy conference and various national radio shows. She has written articles for such publications as Natural Pharmacy, The Herb Quarterly and The Herb Companion. She is working on her second book, Sowing Seeds: Growing our Future, which focuses on growing herbs with children. Today, Higgins is a nationally recognized herbalist, author and teacher. With 30 years of personal and professional experience, she continues to participate in lectures, seminars, and national lactation and birthing conferences. Her teachings focus on the self-empowerment of knowing and using the plants that surround us, and the opportunity this information holds for personal growth and planetary responsibility. This is a story of a family business that started in a Colorado Rockies meadow and grew into an international leader. Kathryn Higgins, Motherlove’s founder, grew up in a Mayo medical family from Rochester, Minnesota, who were avid gardeners in love with flowers and plants. After moving to the Rocky Mountains, she became passionate about the uses of plants in the meadows and forests surrounding her mountain home in Northern Colorado’s Rist Canyon. She began incorporating the wild plants into her daily life for food and medicine and teaching others. Not able to find herbal products to support her pregnancy and birthing experiences, she began making her own—and sharing them with other women. These creations in the early 1980s became the seeds for Motherlove products. In 1987, local markets began asking for her products and Motherlove was born. She wrote “Made with Love” on the handmade labels and sent them off with the UPS driver on his weekly drive up the canyon. Motherlove moved out of Kathryn’s kitchen in 1995 to meet the growing demand from hospitals and retailers. Over the last decade, as the company grew internationally, she expanded the Motherlove family to include her daughters, Silencia and Jasmin Cox. The seeds were now sown to pass the family herbal traditions to future generations of Motherlove customers. In addition to being Motherlove’s visionary, Kathryn teaches classes, writes articles for nationally recognized publications and serves as a guest speaker for breastfeeding organizations and hospitals. In 2012 Motherlove made a commitment to care for our own section of the earth when we acquired a 120-acre farm on Colorado’s Front Range, where we will continue our legacy of growing organic herbs and educating the community on their uses. Today our products are sold in hospitals, pharmacies, natural food stores, and specialty retailers in more than 40 countries. Even though you’ll see our familiar blue bottles on the shelves of the nation’s biggest retailers, our family still makes our products the old fashioned way, with love, from our family to your family. We also believe in supporting the social environment with our Nurturing Life Foundation, which promotes breastfeeding and supports mothers-in-need nationwide. Over 10% of all Motherlove Herbal Company’s profits are donated to organizations that truly help nurture life. Motherlove Herbal Company is a member of the following organizations. • American Botanical Council (ABC) • American Herbalists Guild (AHG) • American Herbal Products Association (AHPA) • Herb Research Foundation (HRF) • Organic Trade Association (OTA) • United Plant Savers (UpS). As the popularity of green products continues to grow, it’s important to know which claims you can trust. Look for the appropriate third party certification on the label. Third party certification boards are unbiased, independent boards that require manufacturers to undergo evaluations to verify that a given set of standards are met. For many years before Motherlove was founded, Kathryn Higgins was growing herbs and teaching others to use them. After she became pregnant and gave birth to her first child, the products she made for herself and gave to friends became so popular people begged her to sell them. So she did – and Motherlove was born. This spring of 2014 we’ve come full circle. Motherlove is now the proud operator of an organic farm and educational community center on the Front Range. The 120 acre farm will supply us with local, sustainable, certified organic herbs for Motherlove’s products, as well as traditional organic grains and vegetables for our tables and other’s. For the farm’s educational community center, plans include classes for families on growing, harvesting and preparing herbs for use in personal care products, including the herbs used in Motherlove products. We will also offer herb identification sessions for wild edible and medicinal native plants. Additional educational series will focus on the importance of organics in the food industry, sustainability, biodiversity and other environmental issues, including water conservation. It’s a dream come true for us, and we can think of no better way for Motherlove to reconnect with our roots and honor Kathryn’s legacy than farming. Our farm also gives us a chance to give back to the community that has given us so much, allowing us to share Kathryn’s knowledge and wisdom with our friends and neighbors.